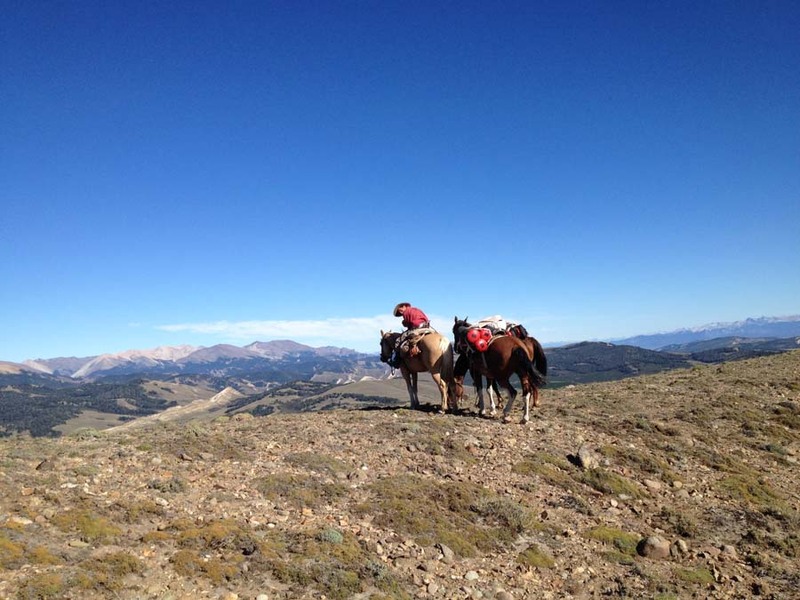 The price of the trip varies depending how many riders in your group. 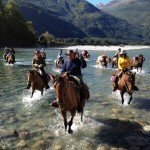 Included – All riding, guiding, accommodation, meals, drinks (except in Bariloche, El Bolson and Puerto Varas), wine with dinner during the ride, transfers, ferry crossing & camping equipment. 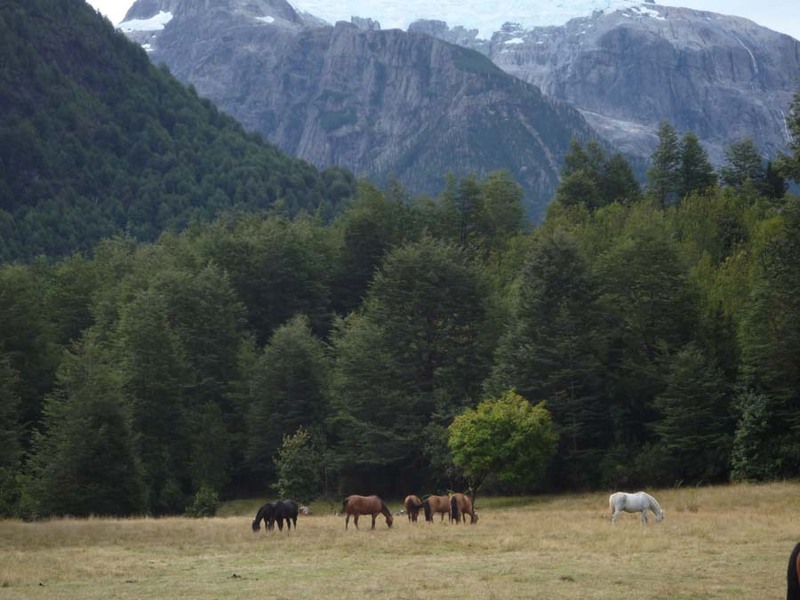 The arrival airport is San Carlos de Bariloche and the departure airport is Puerto Montt. 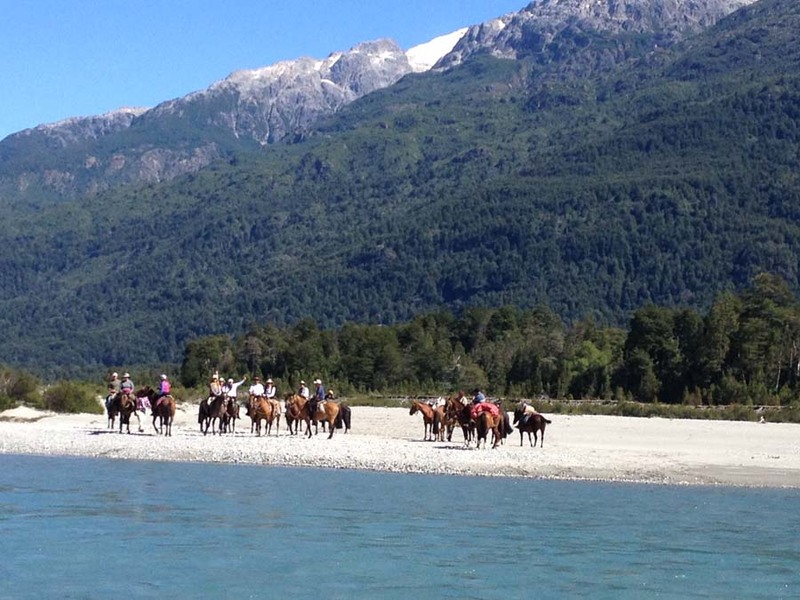 They are included in the package at set times from San Carlos de Bariloche and Puerto Montt. 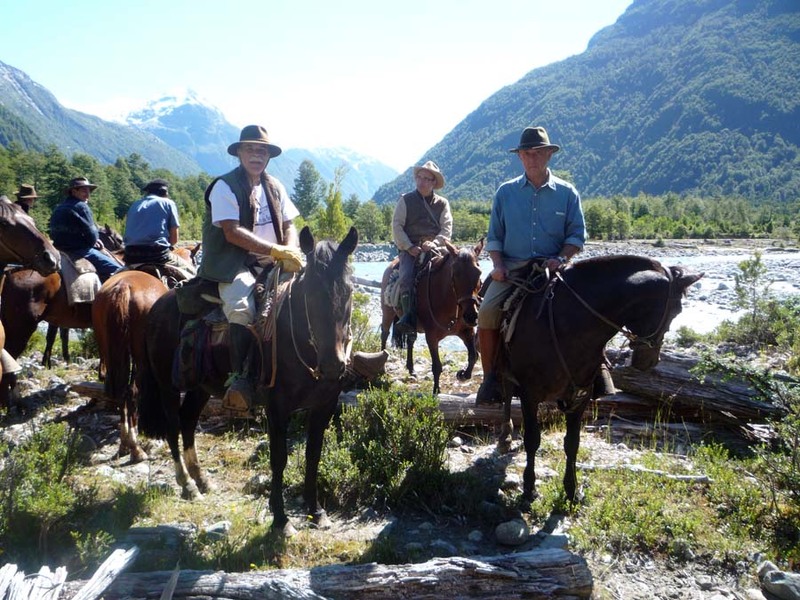 Across The Andes is a fascinating adventure from the virgin steppes in Argentina to the Valdivian forests in Chile. 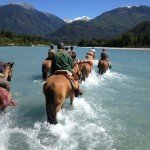 A unique eleven day expedition where Creole and Chilean horses will take you through estancias and fundos, crossing endless pampas, green forests, and clear rivers – a trip of a lifetime for sure! 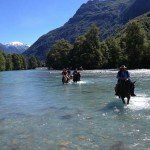 This Across The Andes adventure starts near the popular ski town of Bariloche in Argentina journeying south and west to finish at Puerto Varas in Chile. 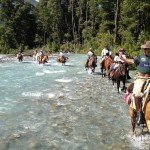 During the first half of the ride to the Chilean border you will ford rivers and climb high mountain passes with panoramic views as you ascend ever higher into the Andes. 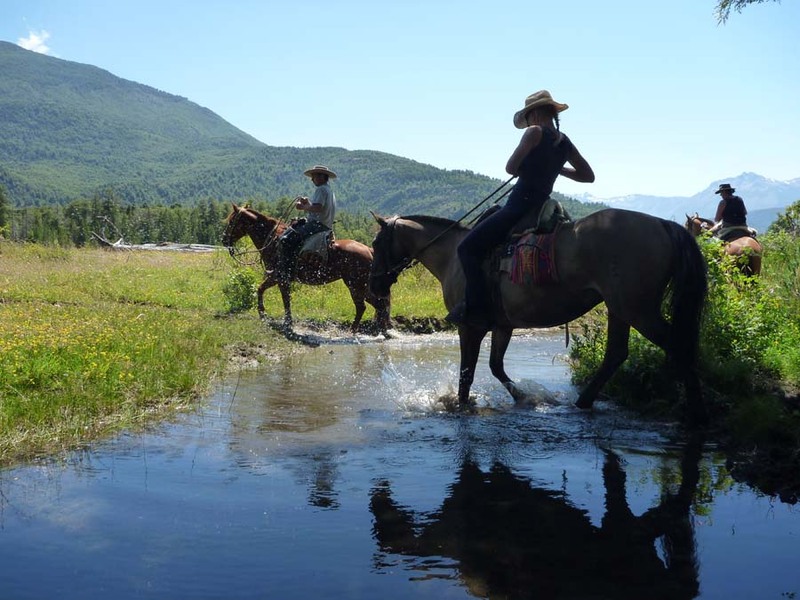 Early settlers came to this area to find gold; others to establish estancias and you get a true feeling of how their lives must have been back in those pioneering days. 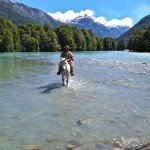 Leaving behind the Argentine Criollo horses, the border crossing into Chile is by boat across the vivid blue Lago Puelo, an unimaginable and wonderful sight. 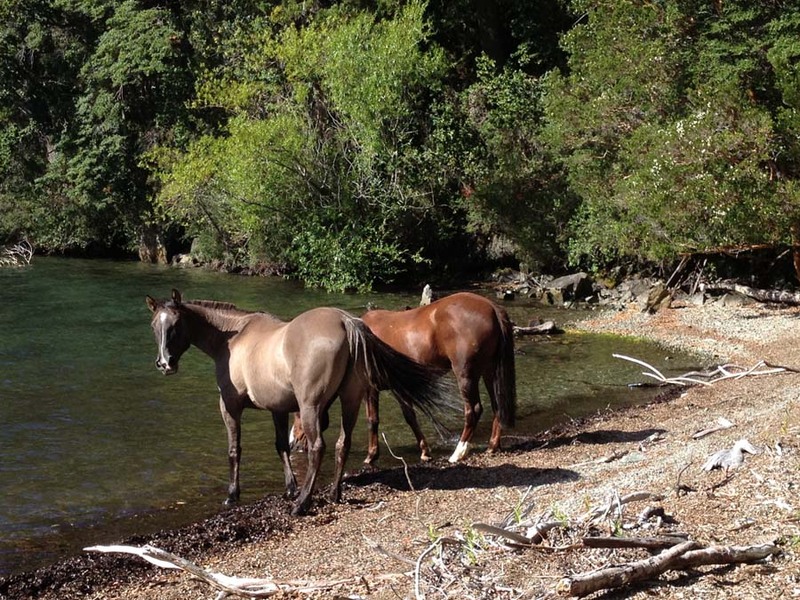 Meeting fresh horses on the Chilean side, the landscape becomes much greener and the forests more dense. 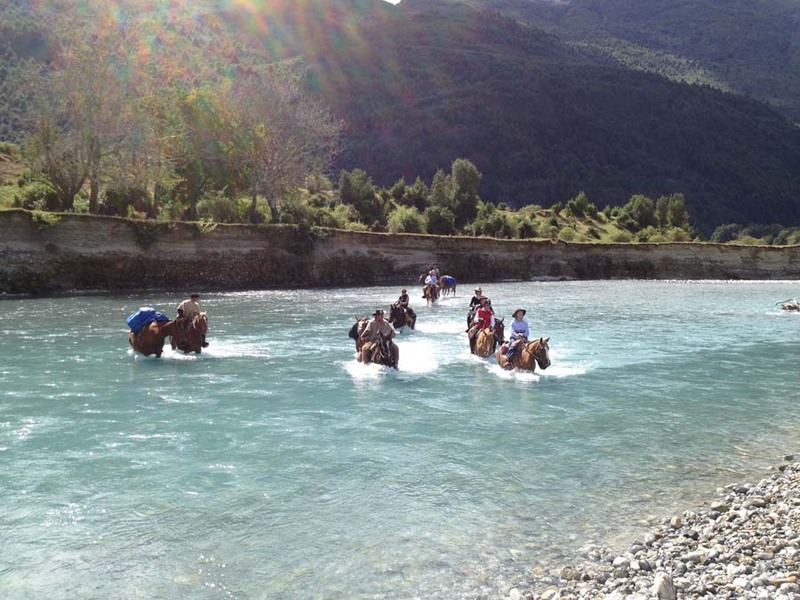 There are some exciting river crossings where you will travel by boat while your horses swims alongside! 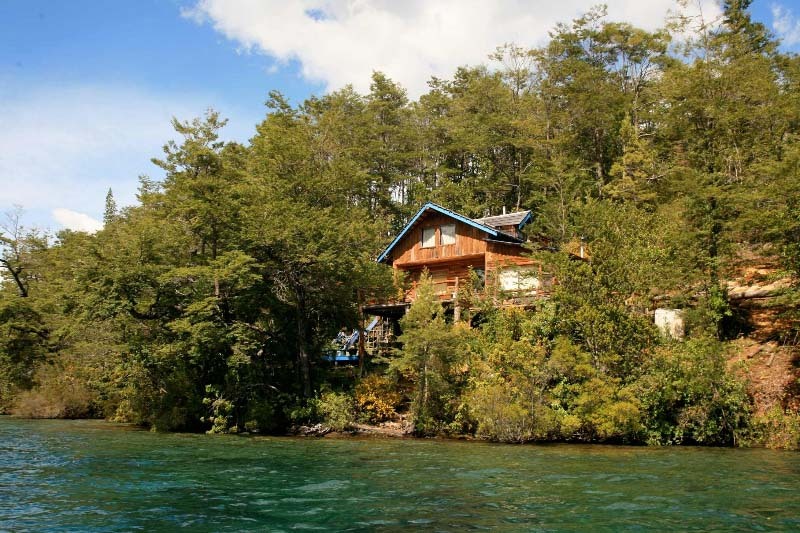 The ride continues for six days in Chile as far as Tagua Tagua Lake, famous for its floating islands of vegetation. 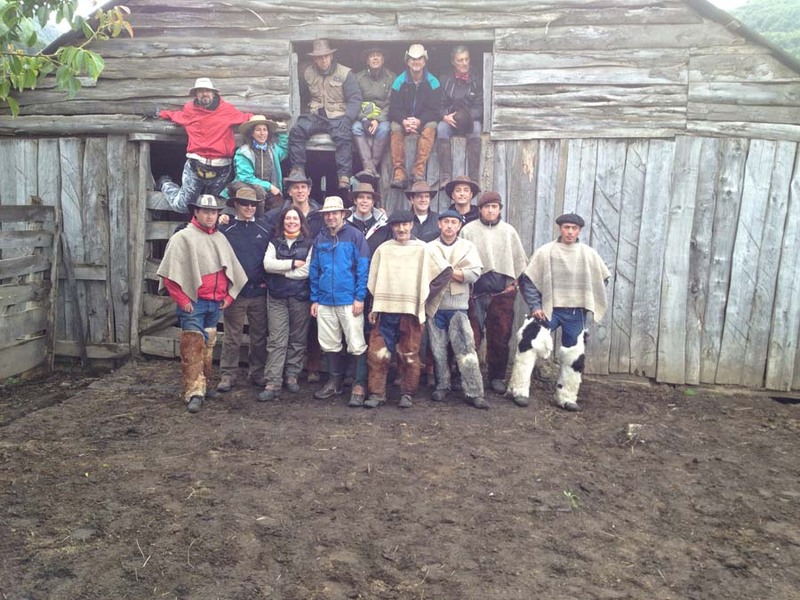 During Across the Andes (Grand Traverse) adventure you’ll stay in a good mix of accommodation, giving such a cultural insight into both countries, with camping and guest houses in Argentina and farmhouses in Chile, with the highlight a stay in your own guides home on a remote island called Las Bandurrias – a special and remarkable part of the adventure! 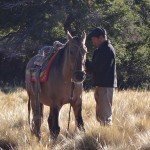 Across The Andes : Horses – A mix of the most sure footed and forward going Creole type horses. 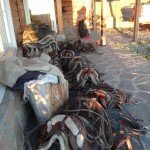 Argentinean Criolla horses and Chilean Creoles. 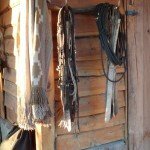 Level of Riding & Pace – Intermediate to advanced riders. 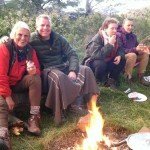 Weight Restriction – 90kgs / 14 stone 2 lbs / 198lbs. 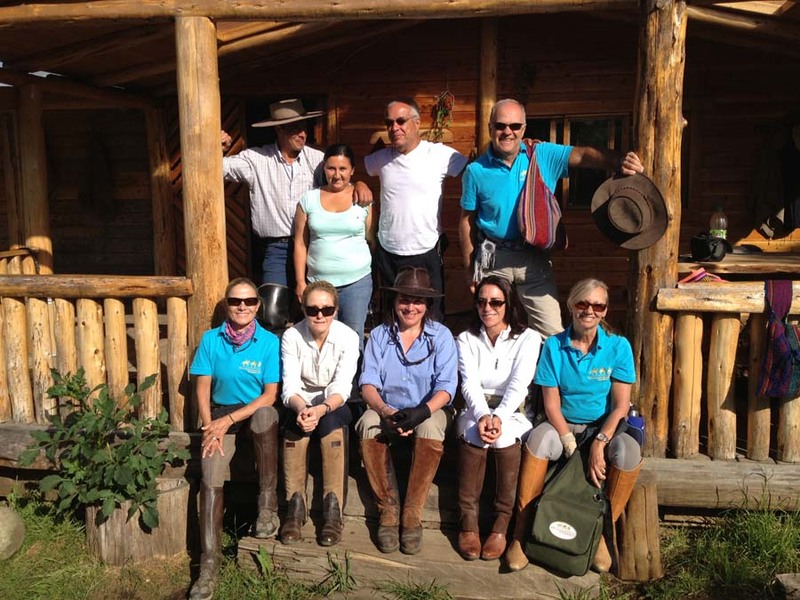 Across The Andes : Group Size – Maximum 8. 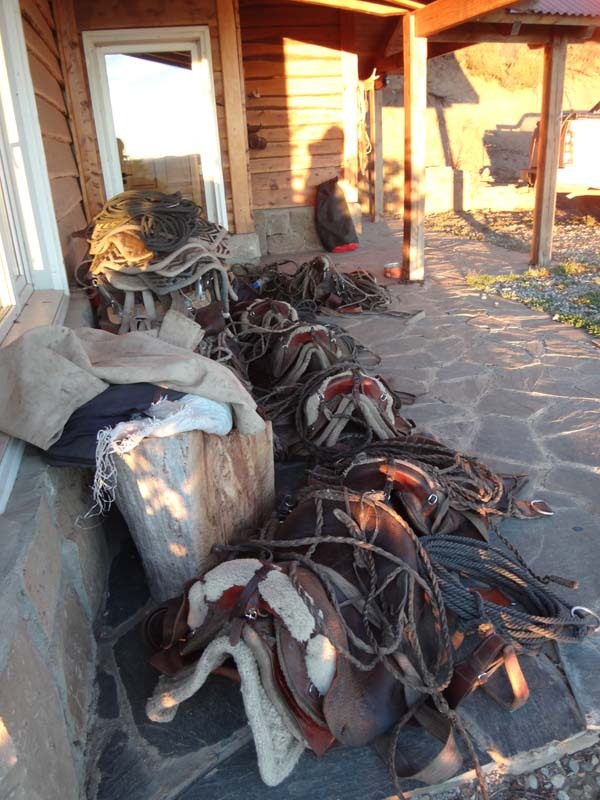 1 night in an early twentieth century fully refurbished traditional estancia. 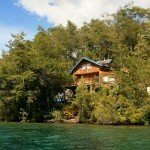 2 nights at a fabulous retreat on the private Island Las Bandurrias. 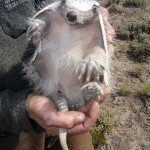 People will love this place! The living and dinning areas and great sundeck overlook the small beach next to the quay. 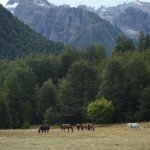 Here you will get stunning views of Lago Las Rocas and the surrounding peaks. 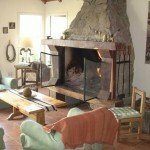 The cabaña offers accommodation for up to 6 people and the main house features two further guest rooms with original French country decor. 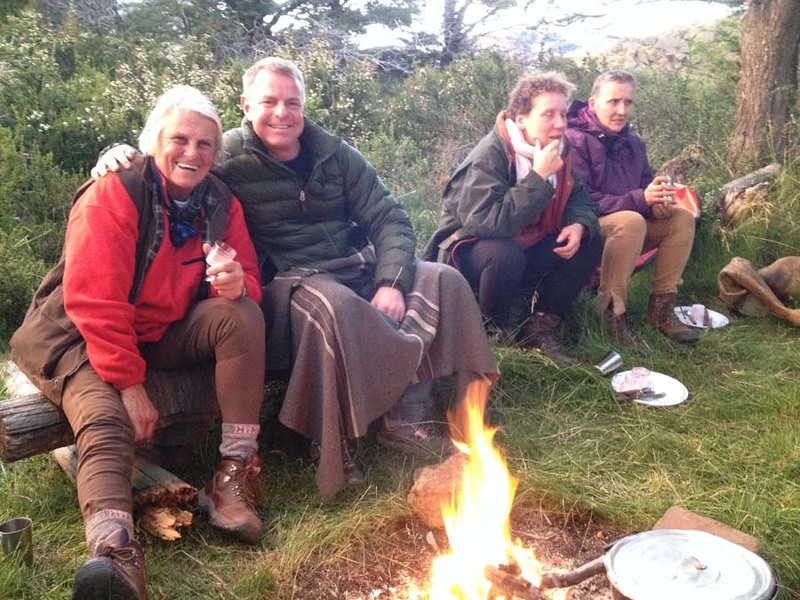 It is a very cosy and warm place where we’ll share pre-dinner drinks and meals with Francoise Dutheil, our island host. 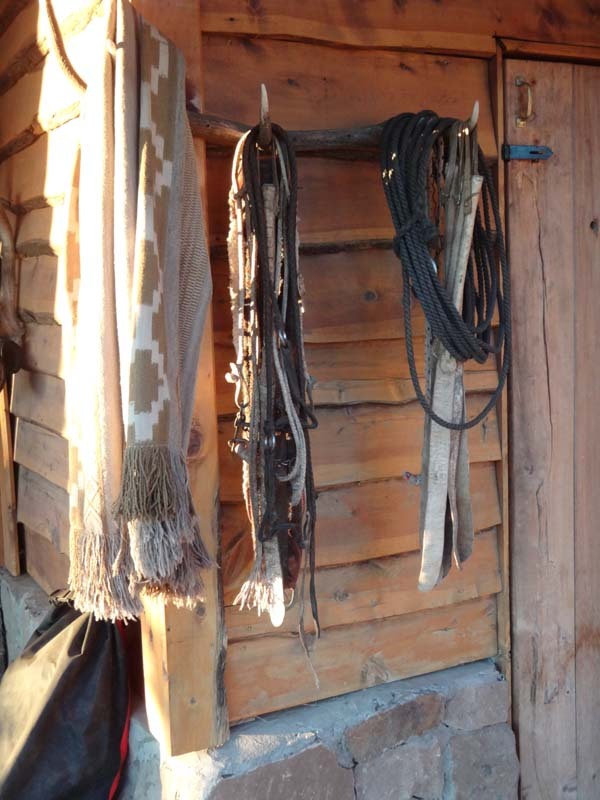 3 nights at local farmhouses (chez l’habitant), consisting of basic but clean rooms mostly in twin and triple or dorm rooms with shared facilities and hot showers. 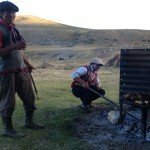 Food is organically grown and sourced from farm orchards, while the meat will be cooked on a delicious Argentine and/ or Chilean Asado (bbq). 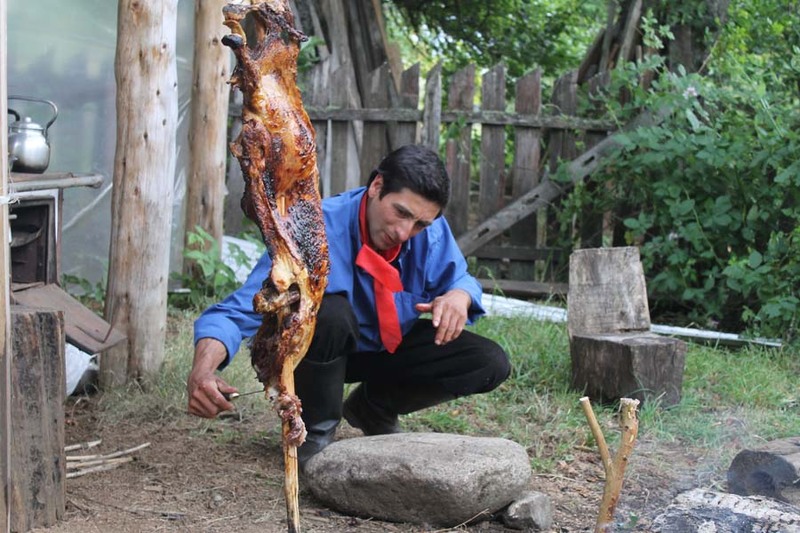 Great Argentine meat on the first night, in Bariloche and 6th at El Bolsón, great dinner! Delicious sea food at restaurant in Puerto Varas at the end of the trip. 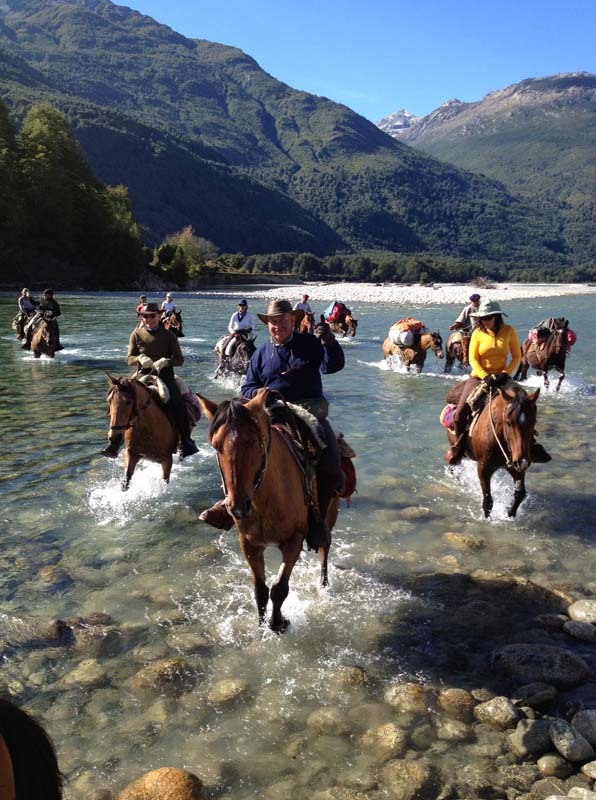 Horse Riding Holidays like this Across The Andes expedition, are part of the Zara’s Planet collection of Horse Riding Holidays Argentiana. 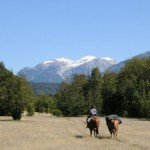 Arrive into Bariloche International Airport and transfer to your hotel in down town. 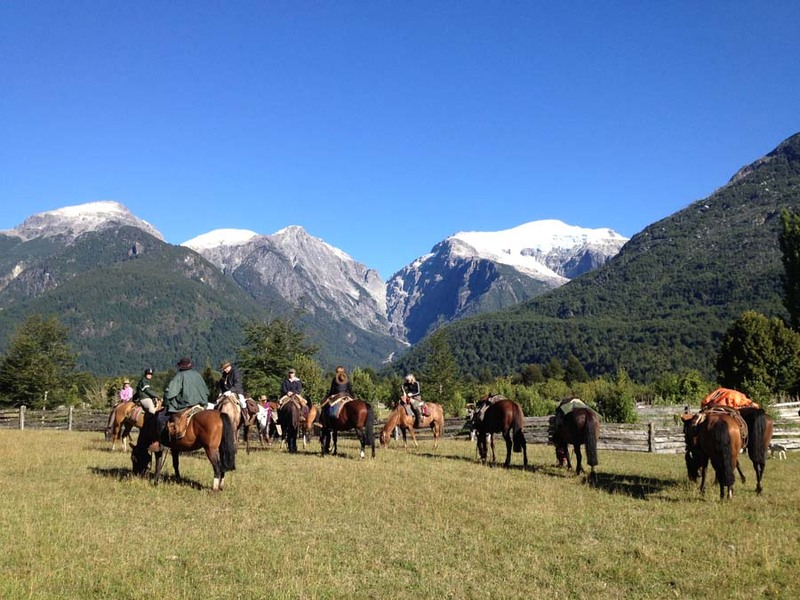 Bariloche is situated on the shore of lake Nahuel Huapi, a big touristic ski town surrounded by mountains. 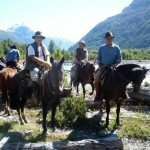 Depending on your arrival flight you will have the chance to explore the area and get great views from the Cerro Otto or to do any last minute shopping before the ride. 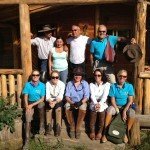 Meet your guide for the holiday and have a full briefing for the next days ride. 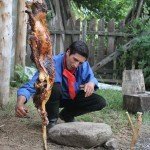 We will all go for a traditional barbeque dinner at a local restaurant. 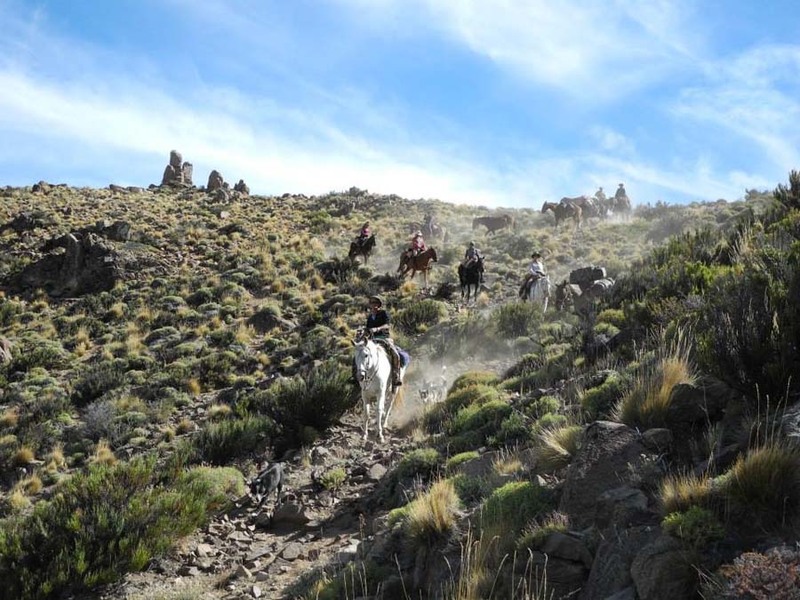 After an early breakfast a minibus will take us 30 kms to the starting point of the ride at Estancia Ñirihuau where we meet our horses. 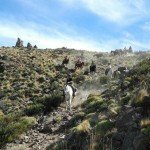 We will start our ride and pass the Cerro las Buitreras and arroyo la mina - from here we have great panoramic views of the Valley Alto Chubut. 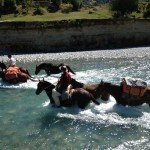 Lunch stop and afternoon ride to rio Pichileufu. Camp at the riverside. 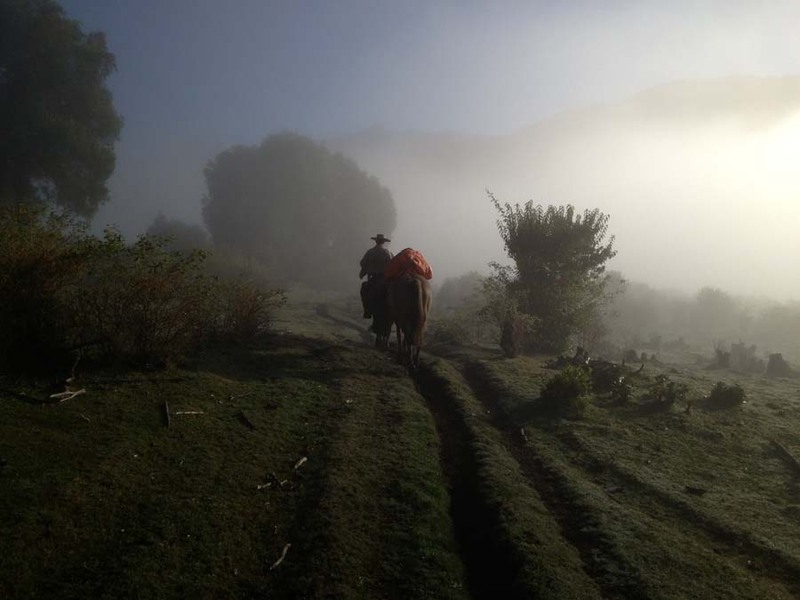 Today's ride will cross from the Pichileufú Valley to Carreras mountain high passes. 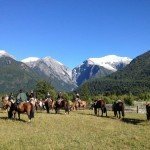 A good spot for watching condors and eagles and plenty of wildlife. 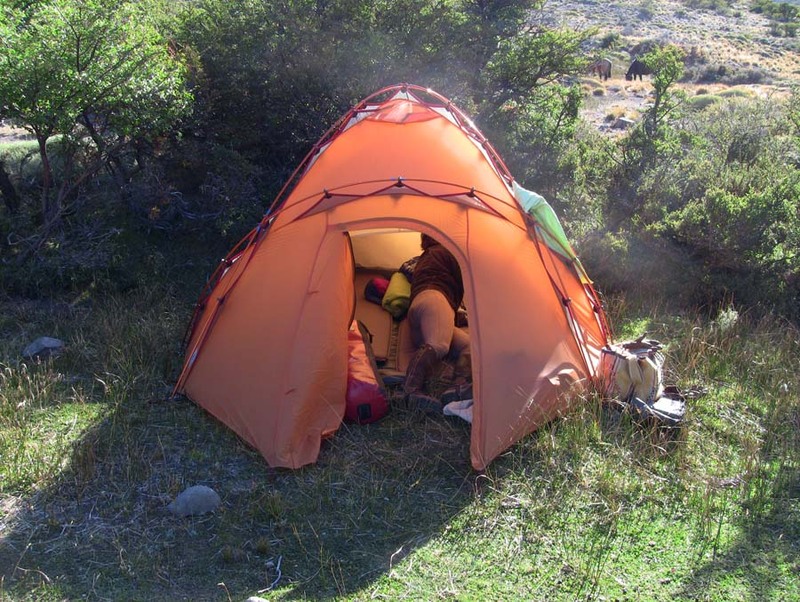 We will start our descent towards the source of the rio Alto Chubut where we camp. 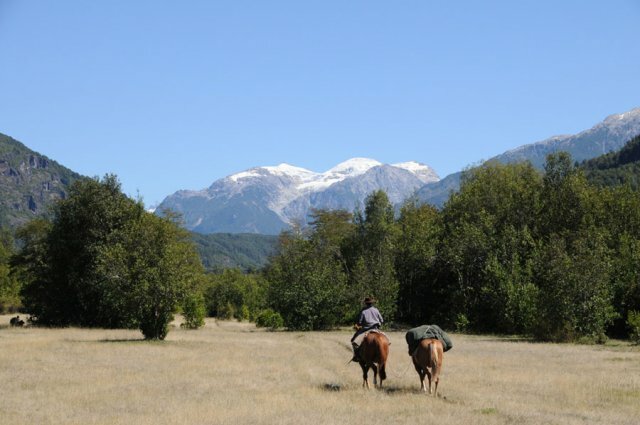 Today we start riding downhill through the Chubut Valley. 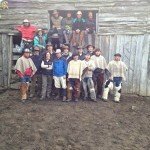 There is a possibility to stop close to an abandoned lead mine and meet the local family and their young gauchos. 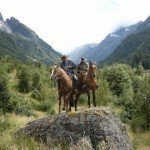 This place shows the remains of the past when adventurers came to find gold. 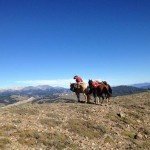 Afternoon horse trek on tricky terrain up to la Serrucha pass with stunning views of the Tronador Mountain, its glaciers and the endless steppe. 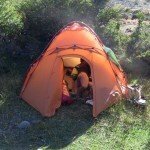 Overnight camp. 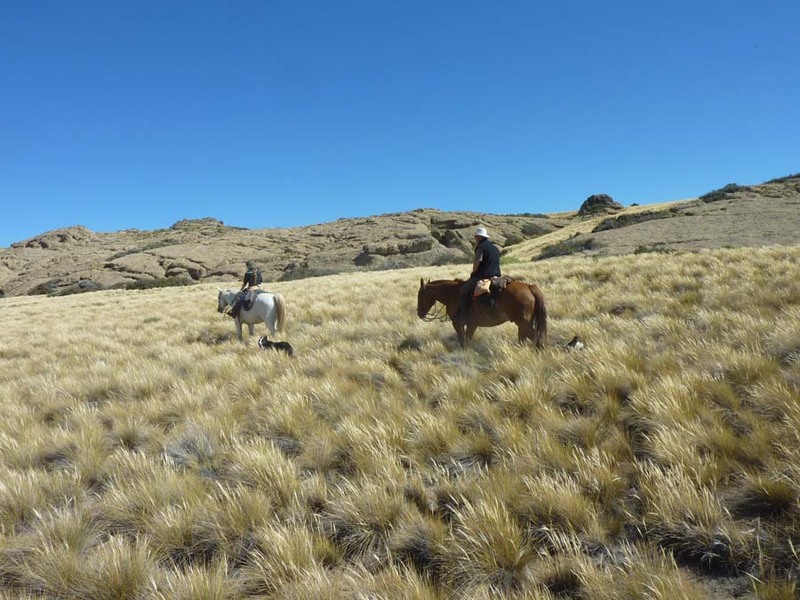 After breakfast we ride down onto the Patagonian steppe where the vegetation changes, finding boxed-leafed barberry, fire bushes and fire tongue. 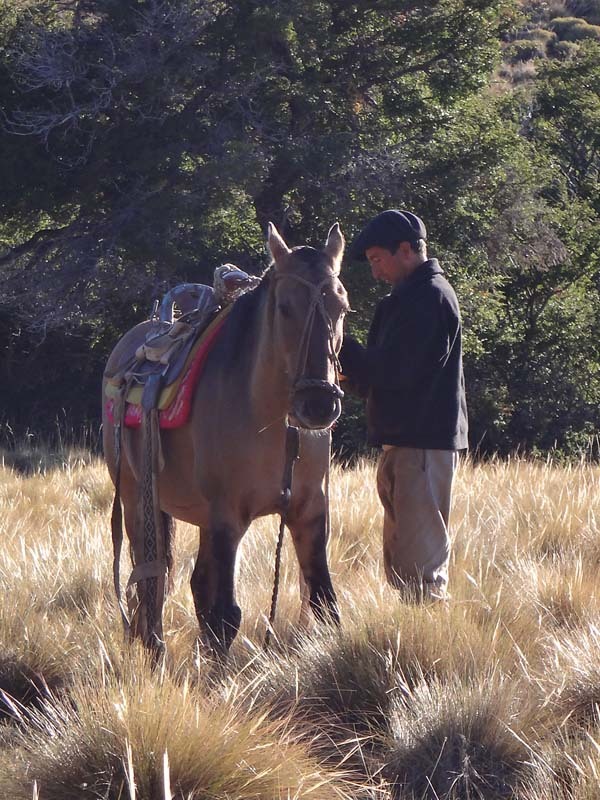 The trail will lead us to an old and traditional working estancia. 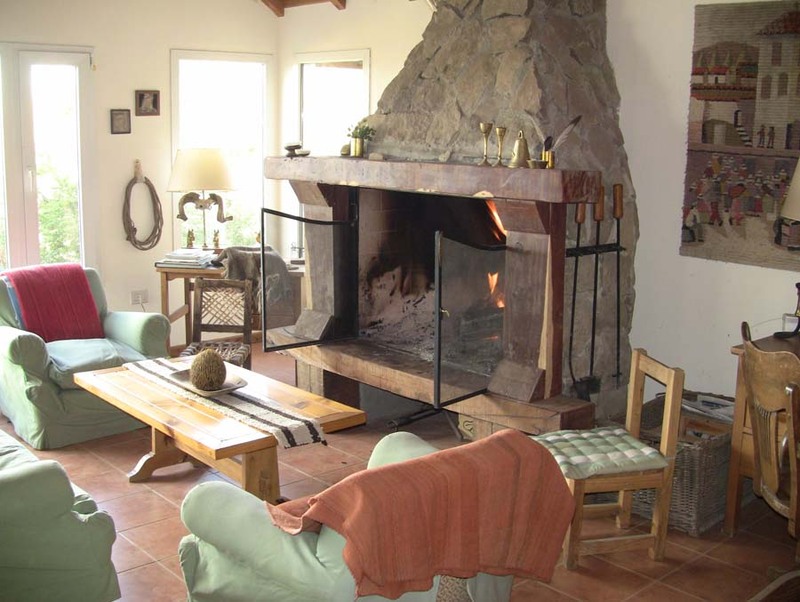 This last century estancia has been refurbished but still keeps its own style. 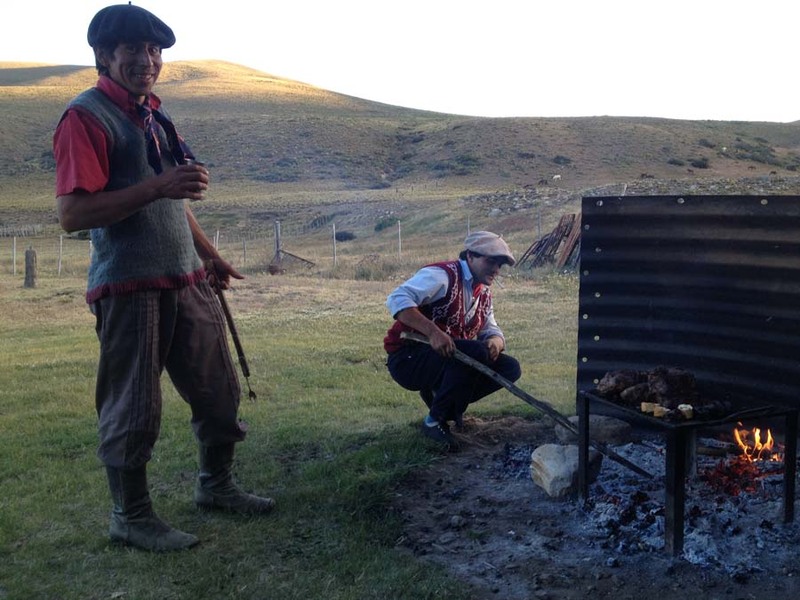 For dinner we will enjoy a delicious asado with local vegetables and Argentinian wine. Night at estancia. 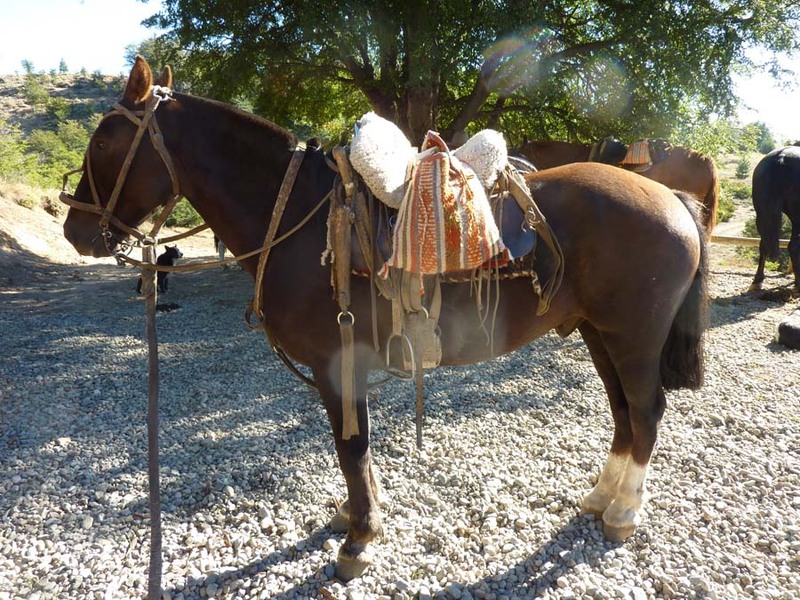 Today is the last day with your Argentine Criollo horse. We ride towards an abandoned steam train station in Filancao. 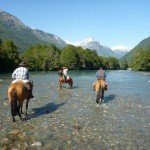 We will follow this railway to a small aboriginal village called Norquinco and then continue past other estancias before reaching the road where we say goodbye to the horses and baqueanos. 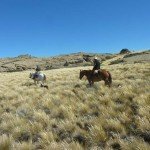 We transfer to El Maitén village for lunch and then in the afternoon we transfer to El Bolsón town. This is an attractive growing town surrounded by mountains where many artisans show their products at a flea market. Night at hosteria. 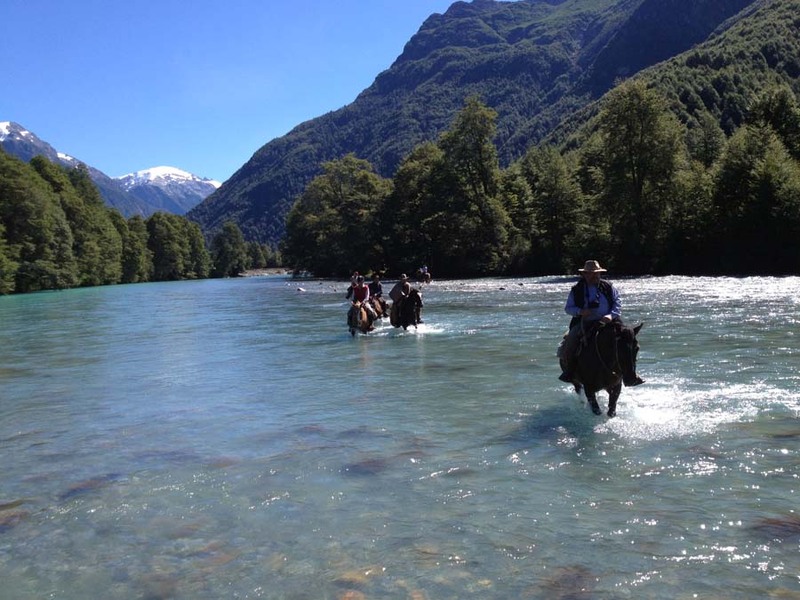 After a late breakfast we transfer to the Lago Puelo quay to board a turbo-jet boat which takes us across the two lakes. 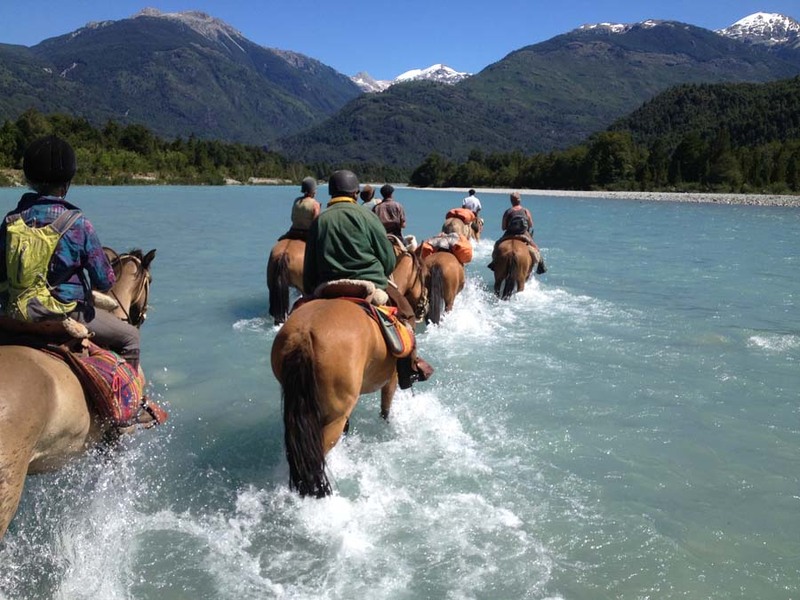 After having complied with the custom procedures, we'll cross the rapids that join the two countries of Argentina and Chile. 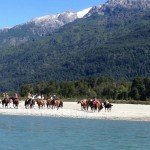 After the custom control on the Chilean side we will have a short walk to the Las Rocas Lake where a motorboat will take us to Bandurrias Island. Great views of the surrounding mountains in the Andes today. 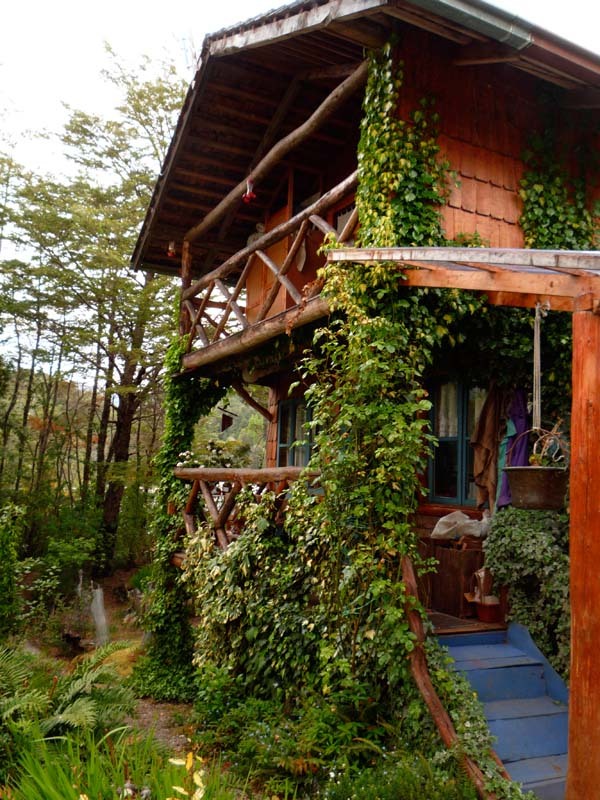 A warm welcome and a nice rest will be waiting for you in your exclusive cabaña on the Island. 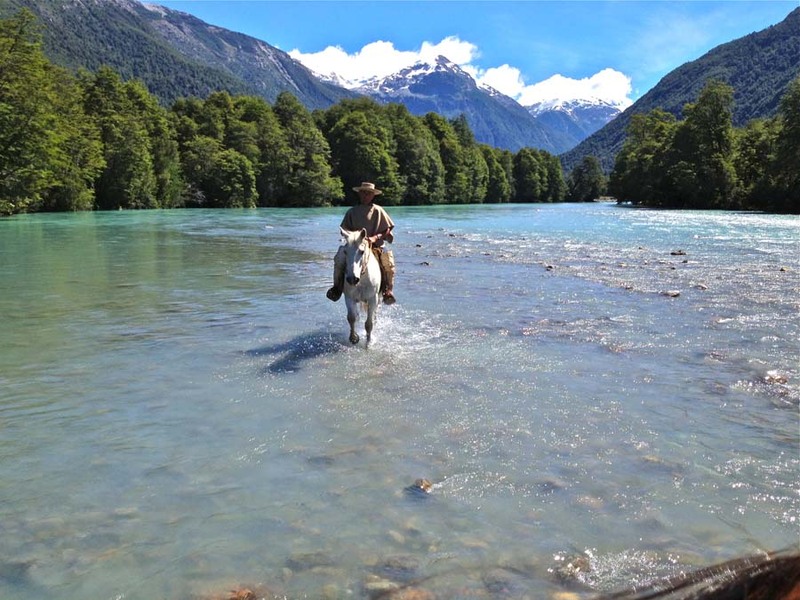 This morning we’ll enjoy a 2 hrs ride visiting the Blue Lake 'Lago Azul' with its crystal clear waters and abundant fish life. 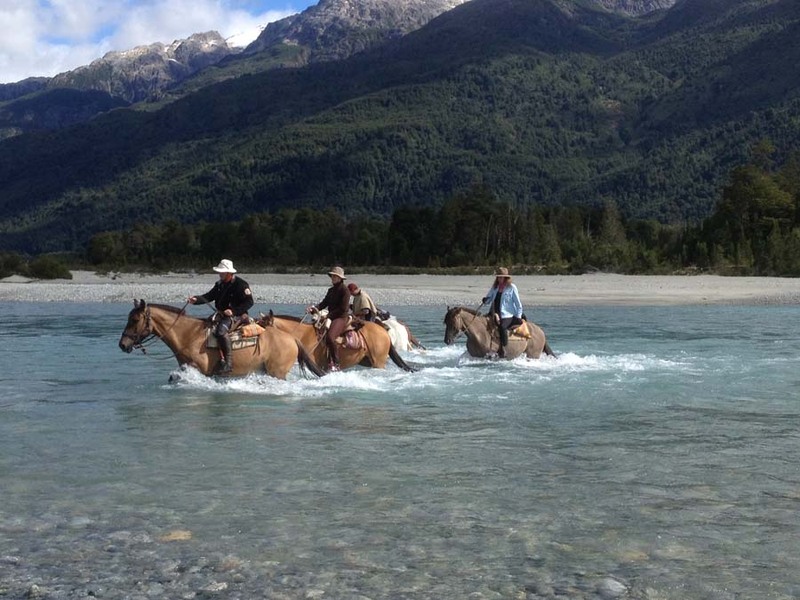 The majestic peaks and stunning landscapes will not escape your attention! Picnic lunch relaxing on the shores of the lake. 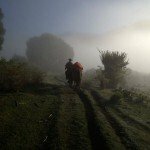 After lunch we will ride on steep passes across the forest and along the mountains passing through typical cold jungle or Valdivian-type rainforest. 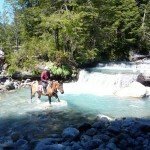 You should see ancient Alerces trees (Fitzroy Cupresoide) as well as other local 'giants' such as the 'Coihue' and 'Arrayanes'(the cold tree). End the ride at the Palenque and sail back to the Island. 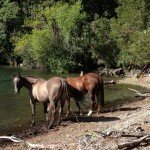 After breakfast, a motor boat will take us back to the other side of the lake where the horses will be waiting. 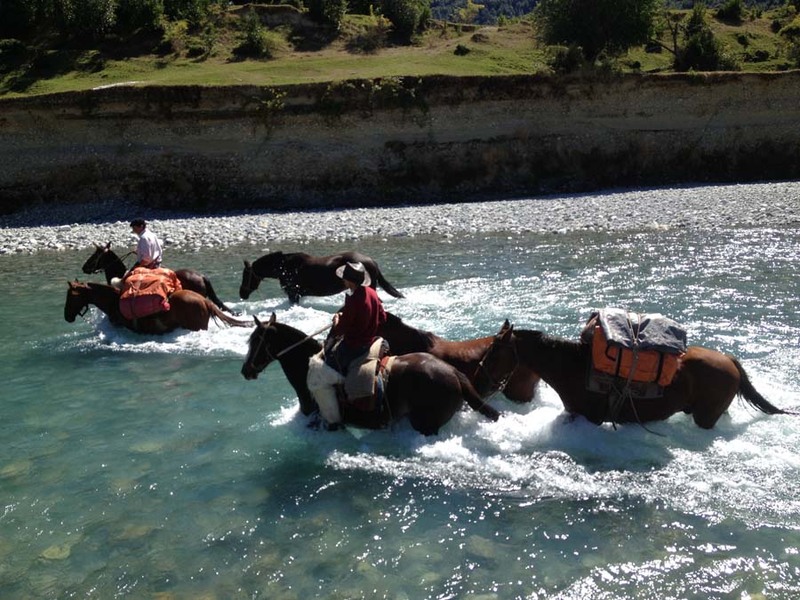 We cross the river using a traditional raft method and manpower! 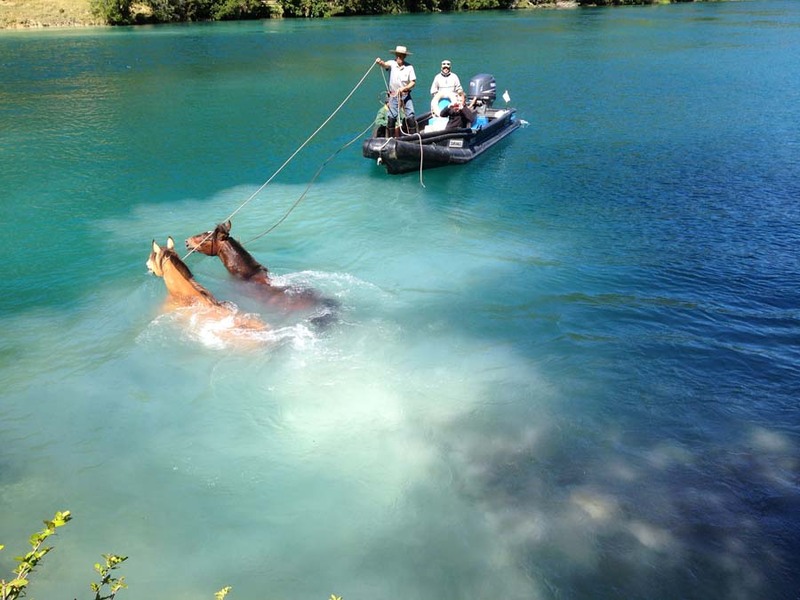 The horses will get on the raft as well! 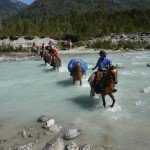 We reach 'Segundo Corral' the last settlement close to the border and then follow the trail down the Puelo River to a fantastic hanging bridge, 'la Pasarela del Rio Puelo'. 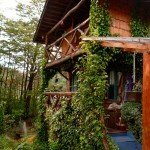 Night and dinner at a cosy house in front of Rio Puelo. 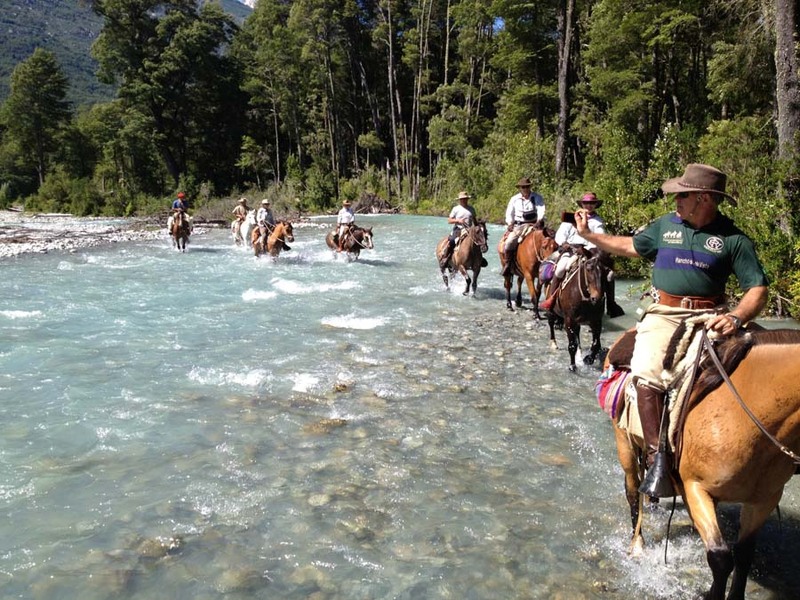 After breakfast we saddle up and cross the Hanging Bridge before following the west side of the Ventisqueros Valley - a remote and green landscape. 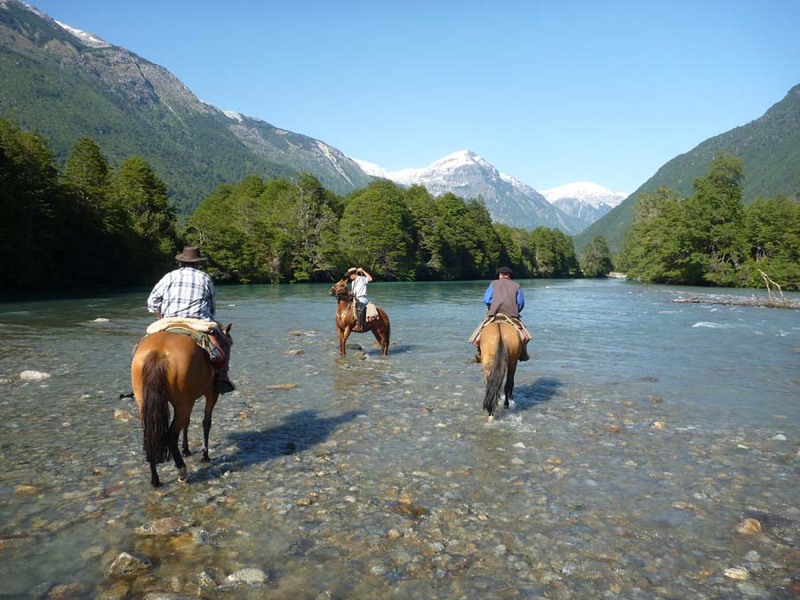 Ride into the Ventisqueros valley where we will stop for lunch and relax. 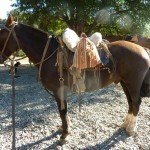 In the afternoon, the ride will take us to a little house where we stay for 2 nights. 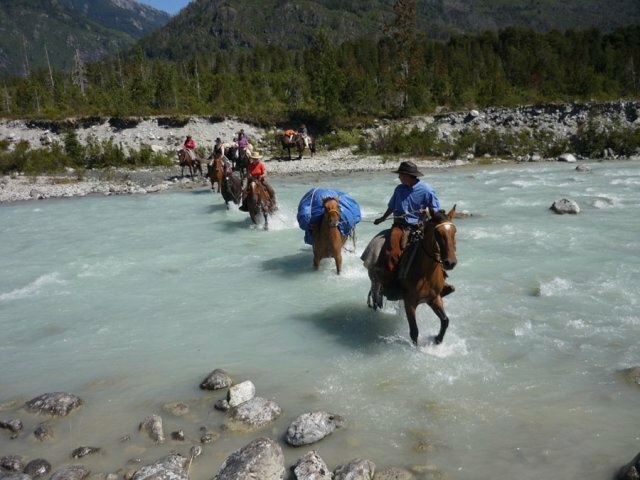 After breakfast we embark on a gentle ride, crossing the river once more to join the other valley and approach its glacier. 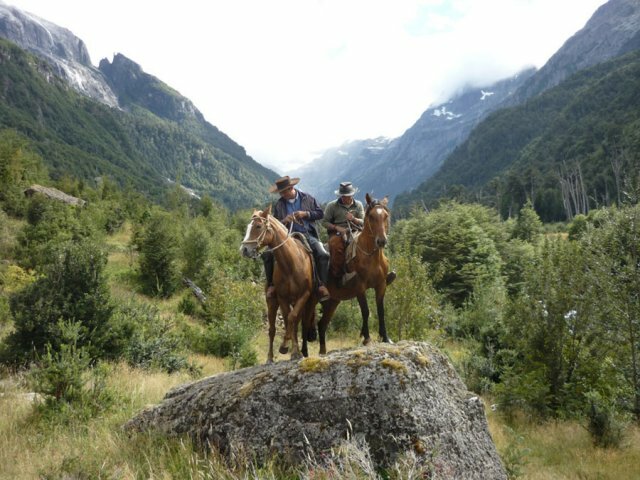 This little Valley turns wild and remote, with incredible flora and we ride close to the Alerces forest. 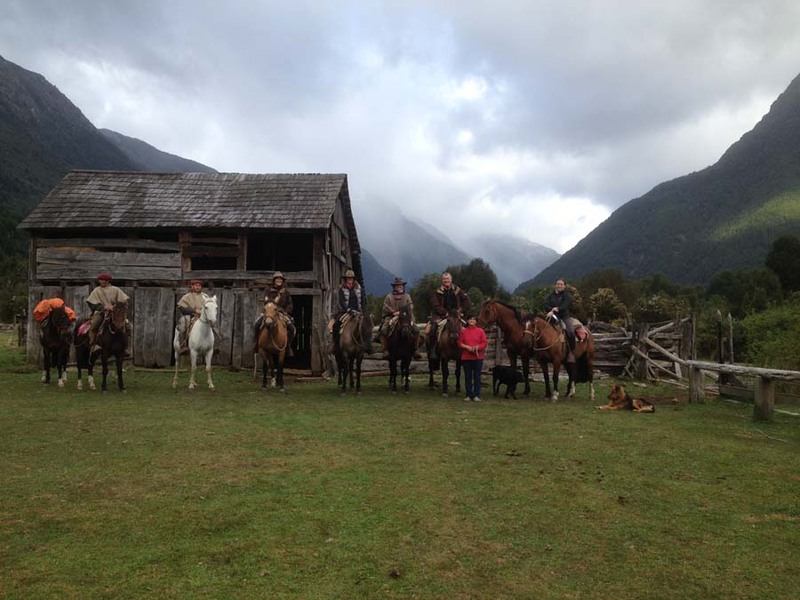 Packed lunch before riding back to our guest farmhouse. 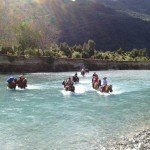 Later there is a chance to go for a walk around the area or simply relax with a glass of wine. 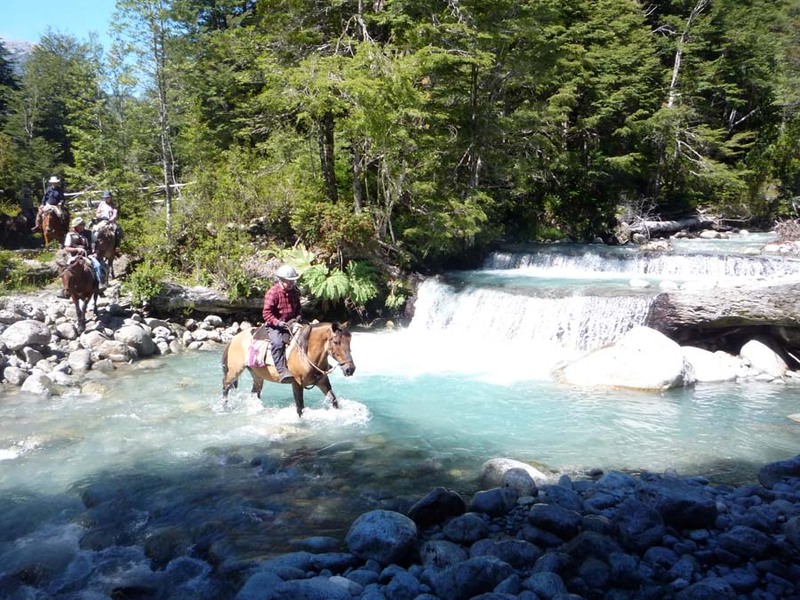 This morning the trail takes us across beautiful ancient forest, clean pampas and offers the opportunity to cross the Ventisqueros River several times. We have a packed lunch on the Ventisqueros shore. 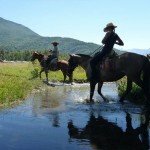 On the afternoon ride we will probably meet farmers working on their land, looking after their cattle and making a living through family agriculture. 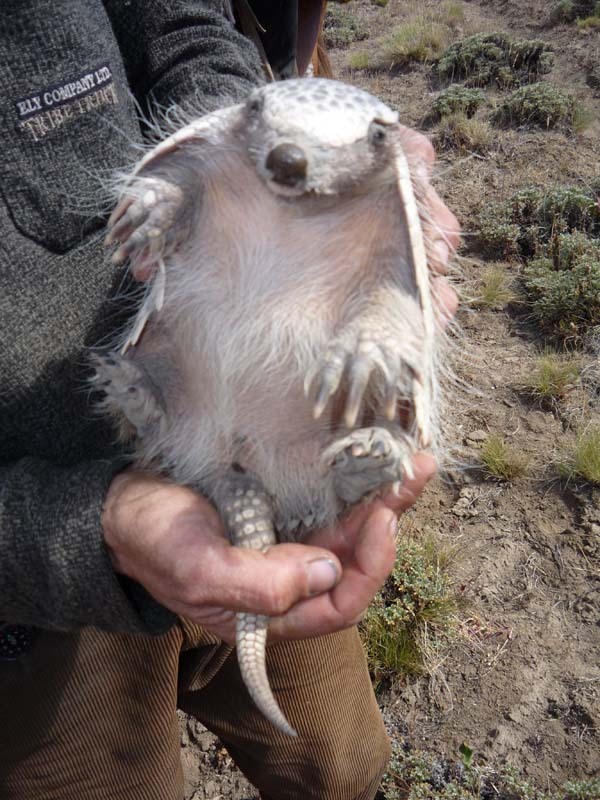 It's amazing to see how fertile these mountains can be! 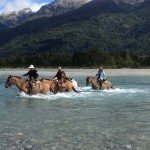 At the end of the day we will cross the river just as the locals do: on a little public motor boat with the horses swimming by the side. 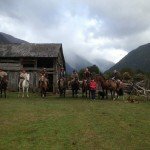 Our last ride and today the horses will take us through the forest and along the Puelo River to the hamlet of Llanada Grande where our minibus will be waiting for us. One hour drive to the ferry that will take us to the other side of the Tagua Lake. 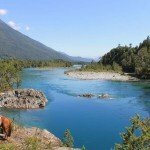 After a picnic lunch we continue onto Puerto Varas. The road goes alongside the Reloncaví Estuary. 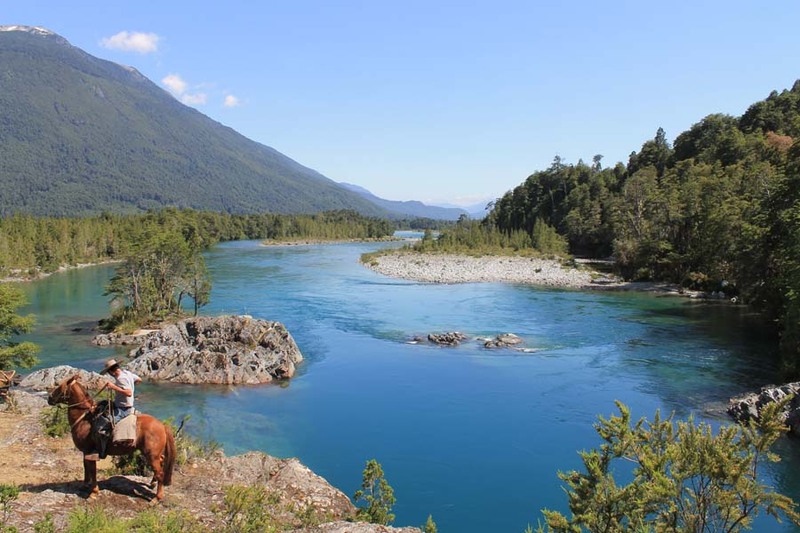 On route to Puerto Varas, we will be able to contemplate the colours of the sensational National Park of Vicente Perez Rosales, skirting Lake Llanquihue and the volcanoes of Osorno and Calbuco. After breakfast we transfer to Puerto Montt airport for our flight home.